The preparation for the 2019 ICC Cricket World Cup is motoring along with each team trying to get the best combination possible for the grandest stage of them all. The balance in the team will be of the utmost importance for all captains and coaches, especially picking the right bowling combination for each match. India's World Cup preparations have been bittersweet at best, with the team scripting a historic series win in Australia and having to endure a humiliating series loss at home against the same opponents having been 2-0 up in the 5-match ODI series. While the middle order conundrum is still a headache for captain Virat Kohli and the selectors, the bowling attack seems to be sorted with three frontline seamers and the two incredibly impressive wrist spinners in the form of Kuldeep Yadav and Yuzvendra Chahal. But which of these two will be Kohli's first choice and which one will play a bigger role in India's World Cup chances this year? As the subcontinent pitches offer spinner-friendly tracks, India have a reputation for producing world-class spinners and batsmen, who can play spin bowling well. But England, where the World Cup is being held this year, are known for producing pace and swing-friendly pitches. This is where the team management has a huge decision to make. With traditional pace-friendly tracks on offer in most cases, India, in all likeliness will have 3 frontline pacers, who will be supported by a wrist spinner. But who will that be? Kuldeep or Chahal? The leggie from Haryana first turned heads with his impressive performance for the IPL franchise Royal Challengers Bangalore (RCB) in the 2014 edition. 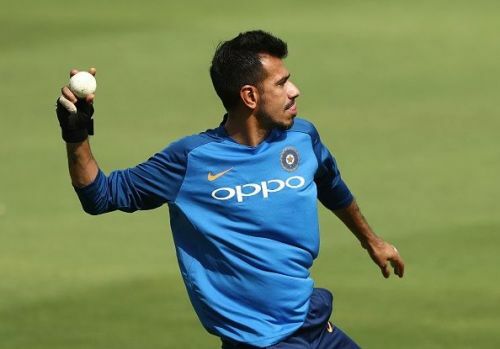 Having been one of the players to be nominated for the Emerging Player of the Season award, Chahal became one of captain Kohli's favoured options in certain situations. Consistent performances with RCB earned him a place in the Indian T20 squad and subsequently in the ODI team as well. His six-wicket haul in a T20 match against England at the Chinnaswamy Stadium remains India's best bowling figures in an international T20 match. Chahal, like all leg spinners, likes to flight the ball more, thus inviting the batsmen to go over the top before trapping them with his disguised googlies. Having represented India in 41 ODIs, Chahal already has two fifers with a bowling average of 24.61 and an economy of 4.89 runs per over. His accuracy in maintaining the line and length lays down the trap for his occasional faster through the air delivery. Though a traditional leg spinner, Chahal has a variety of deliveries up his sleeve and can be a potential threat to any batting line up. Belonging to the elusive list of slow left-arm unorthodox bowlers of the world, Kuldeep Yadav started as the mystery spinner for the Kolkata Knight Riders (KKR) in the IPL. Having bamboozled quite a few quality international batsmen with his deliveries, Kuldeep soon found himself in the midst of the Indian squad. One of the rare chinaman bowlers in the world, Kuldeep uses his flight and turn to entice batsmen into playing the drive, hence finding the edge in most cases. More of a slow turner, with speeds rarely crossing 90 kph, Kuldeep manages to deceive batsmen with both his stock delivery and the wrong one. 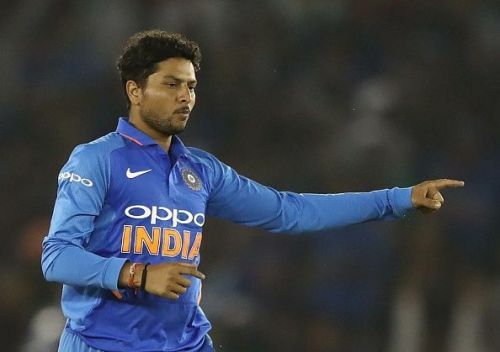 Having played for India in over 44 ODIs with a bowling average of 21.94 runs and an economy rate of 4.94 runs per over, Kuldeep has managed to get a fifer and a hat-trick in his young career. He is also one of the few Indian players, who have managed to maintain form across all formats of the game. While there is very little to compare in terms of statistics between the two across their careers, it all comes down to the form they have displayed in the recent past. With the IPL coming up, the form of both bowlers will be keenly watched by the team management to see who can be a better fit in the starting XI. However, Kuldeep has the advantage of belonging to the rare class of chinaman bowlers, who are known to be extremely tricky to play. 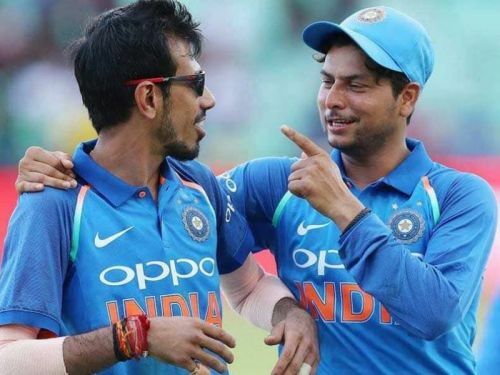 The recent series against Australia showed the backing Kuldeep has as he played all the games in the series, while Chahal played only a few. On their day, both bowlers can wreak havoc to any batting line-up and on their off-days, both bowlers can be hit around the park. But for the time being, Kuldeep has a slight edge in making it to the final XI in most of India's games at thWorldld Cup. ICC Cricket World Cup: What should be India's bowling combination in the tournament?